Christian marriage is distinct from secular marriage from the start. Our secular understanding of marriage begins with the relationship of the two individuals. In Christian marriage, we begin with God. As Christians, we believe that a man and a woman can accept each other in obedience, fidelity, and love, only because God has already unconditionally accepted them and loves them. We are only able to enter into binding human relationships because God has entered into a covenant relationship with us. In accepting this prior bond with God, a married couple accepts and welcomes the God covenant into their marriage covenant. Christian marriage does not exist without the presence of God. 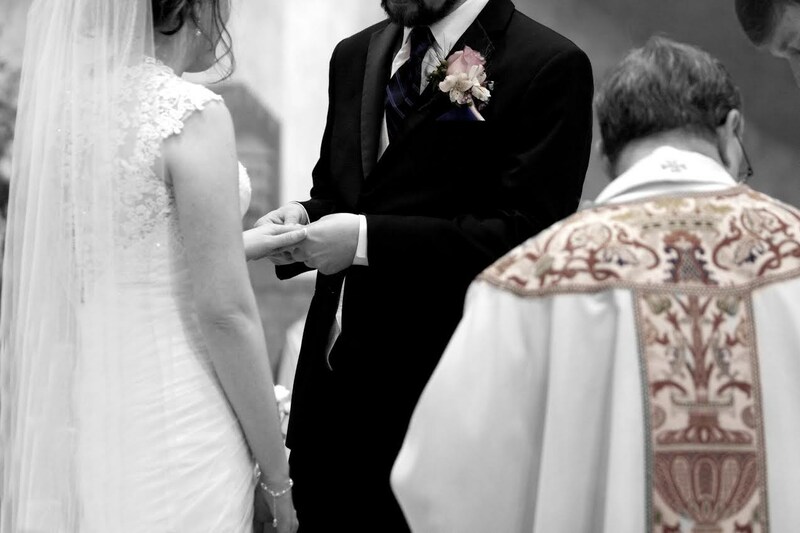 Archdiocesan policy indicates that engaged couples should begin formal preparation for marriage at least 6 months prior to the scheduled wedding date. In most cases this would suggest that contact with the parish take place 9-12 months in advance of the wedding. Please call the parish office at (952) 469-4481 regarding your first appointment with our clergy.